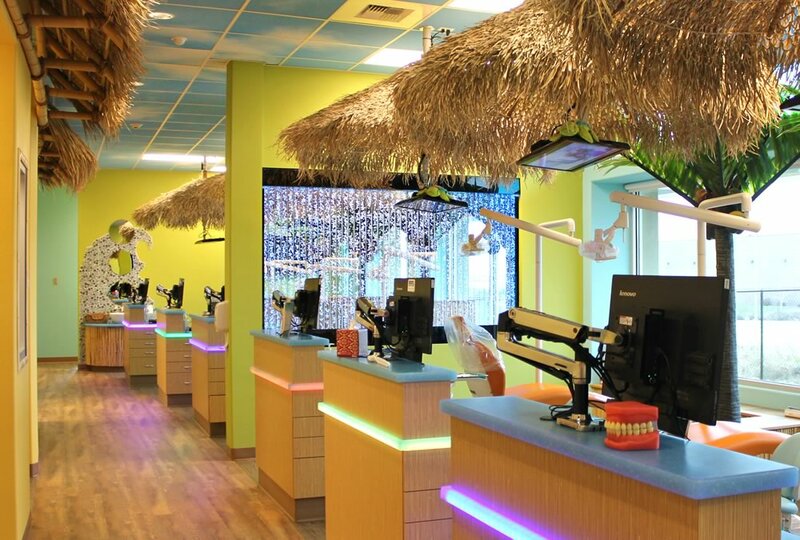 Making the dentist’s office fun! 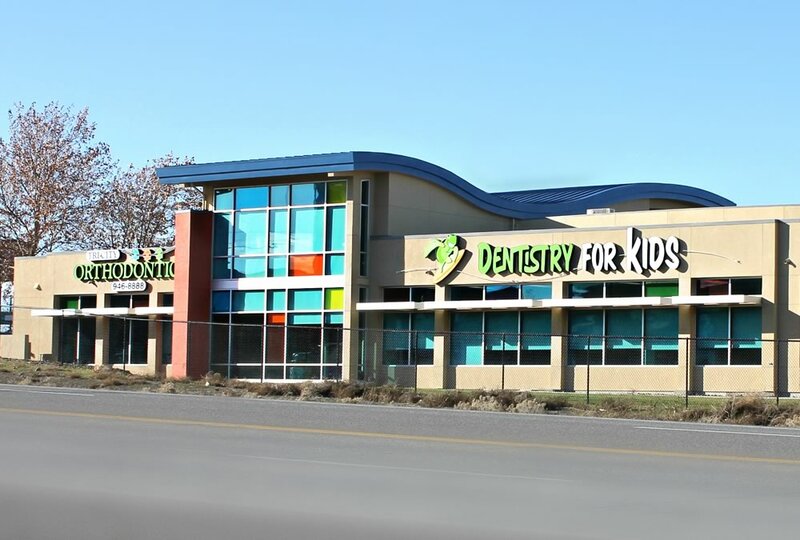 Dentistry for Kids is a new 10,000 sf facility with a 2,300sf tenant space. 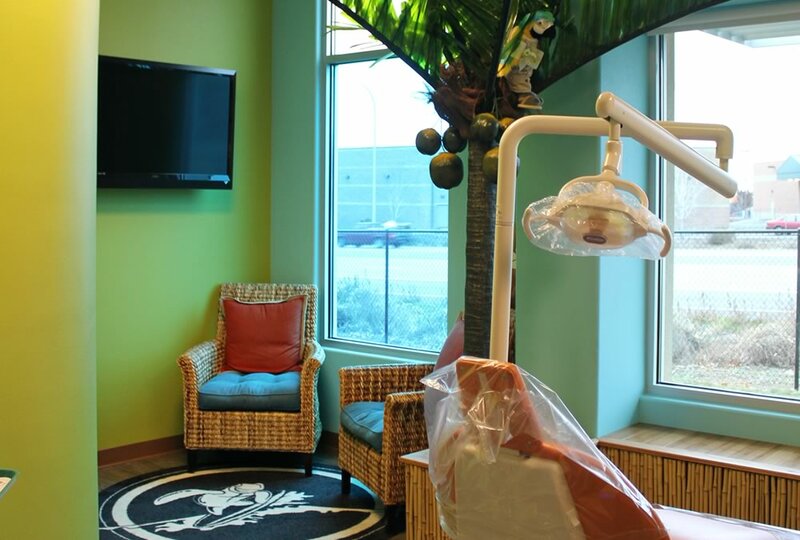 It is unique in that it has a basement, crawlspace and slab on grade portions of the building to accommodate different dental equipment needs. 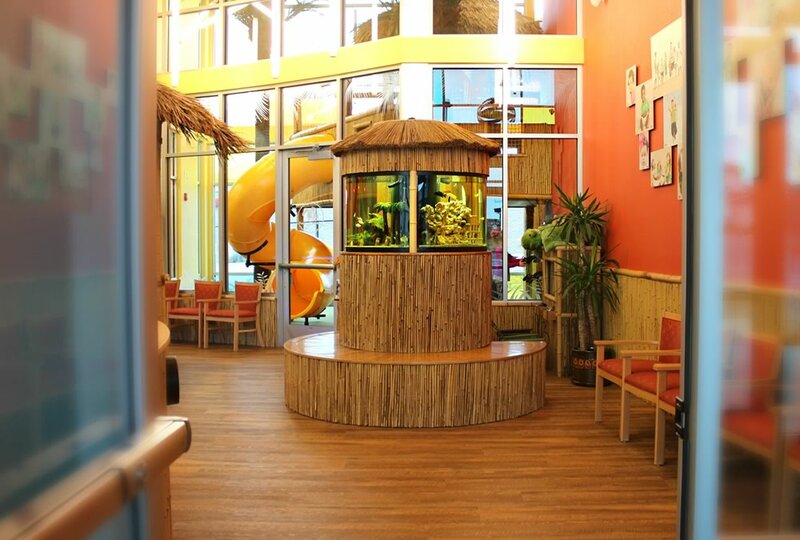 Architectural features are the Structural Insulated Panel system that give the “wavy roof look” like an ocean for DFK’s “little surfers.” Many different colors of glass, bamboo trims, tiki huts, fish tank, bubble wall, a complete cloud design acoustical ceiling and a one of a kind bamboo tree house with a slide!